An important public meeting exploring forgiveness and reconciliation will be held in Nuneaton Methodist Church on 25 September with two distinguished guest speakers: Jo Berry and Pat Magee. Jo’s father Sir Anthony Berry was killed in the bombing of the Grand Hotel Brighton as he attended the Conservative Party Conference. 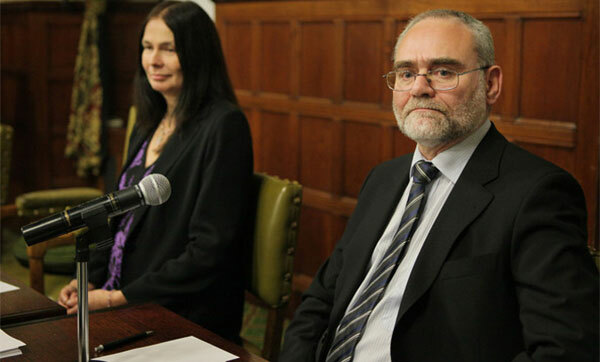 In November 2000 Jo met Pat Magee who was sentenced for his part in planting the Brighton bomb and released as part of the Good Friday Peace Agreement. Jo and Pat work together on Building Bridges for Peace, a non-profit organisation promoting peace and conflict resolution throughout the world and have shared a platform over 200 times and this dialogue has inspired others to choose non-violent solutions to resolving conflict. To find out more, see the short video below. The event is organised by TOUCH OF HOPE, a Peacebuilding and Reconciliation programme in Bosnia and Herzegovina, Croatia and Serbia. TOUCH OF HOPE is part of COMMUNITY FOR RECONCILIATION Charity Number 295113 Company Registered Number 2041873 and works in conjunction with MEDIATION AND COMMUNITY SUPPORT.